Kanzi® is our own apple cultivar, jointly cultivated by FruitMasters. The Kanzi® fruit label derives from Gala and Braeburn and has received the best characteristics from both parents. Migo® is our own pear cultivar, jointly cultivated by FruitMasters. The Migo fruit brand derives from Conference and Doyenné d’Hiver. Migo® is a pear that is less messy to eat, has a longer shelf life, a longer constant value and is naturally juicy. Bob’s is available all year round and comes straight from the source. Bob’s represents quality and is renowned for its rich and pure taste of mouth-wateringly sweet strawberries and refreshing berries. There is only one quality label for soft fruit on which food professionals can rely. The Prestige label guarantees the best soft fruit of the highest quality, bursting with flavour. Hand-picked in the Netherlands at the very best moment. 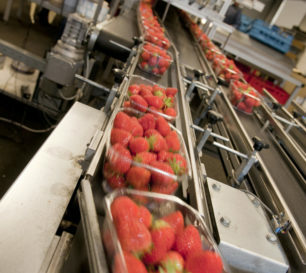 Produce of Holland is hard fruit from Dutch soil that is exported. The Netherlands is a country renowned for fruit cultivation of the highest quality. That’s why Dutch fruit is in such high demand in the fruit export sector. FruitMasters only selects the best fruit. This allows people to enjoy fresh fruit all year round. As fruit specialists, we sort our products in various ways. 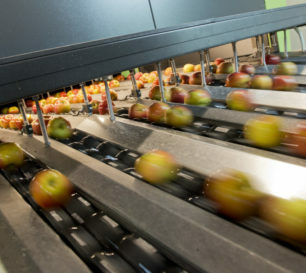 Depending on the type of fruit, we use sorting machines which sort the fruit by internal and external quality and size. Our fruit is packed in various ways. We have wooden crates, plastic barrels and cardboard boxes, but FruitMasters also has smaller packaging materials for fruit, such as bags and fruit bowls. We also wax apples. 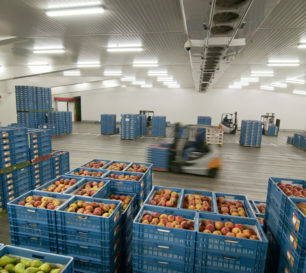 Fruit is stored in sustainable cold rooms. Each fruit variety has its ideal storage regime. 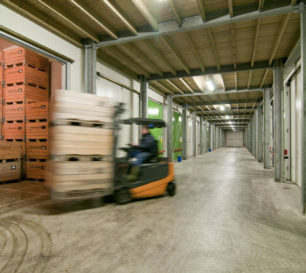 FruitMasters has various modern storage methods to ensure the best quality for each variety.